Check wheel backspacing requirements very closely. Those wheels wouldn't work without spacers for the XJ Synergy steering kit. At least one of the CavFab steering systems requires "4" of Backspacing or Numerically Less Required." And I think that translates to, "if the number is higher, that is not good." Lower backspacing allows for more room for components. More isn't better. Just another thing... For my build I tried to use a spreadsheet to maintain some semblance of discipline over the spending. Its tough. I tried to separate the nice to haves vs the things that I thought were "essential." Which is kind of silly to say, because none of this... no wait, the Hell with that. All of it is essential. Last edited by Rlmx; 01-04-2019 at 06:58 PM. Hey everyone I am looking for some advice from the gurus here, I did post about this once in the lift, wheel, and tire thread, however that thread seems to be kind of dead. So I thought that I would repost here. One other thought. If you are thinking about a SYE, consider the option of purchasing a rebuilt t-case with a SYE already installed. I paid $750 + core charge for mine. I am just adding a Tom Wood's propeller shaft after the t-case is installed. where would you suggest looking for an already rebuilt t case with sye. I was going to install the t case drop that comes with the lift for the time being until I could figure out what to do locker, axle, gear, and drive shaft wise and do all of that at once. Craigslist/Facebook Marketplace. 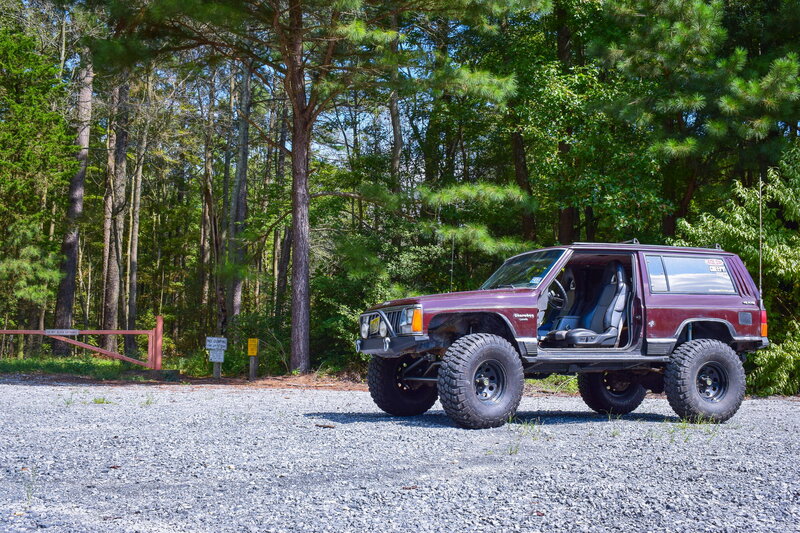 Or if you want XJWonders is in Chester, PA and rebuilds and installs SYEs on them often for sale. You could message him to see if he has any. Purchased from Summit Racing. But they just drop ship from the manufacturer. And they only had one left. Why would you get a rebuild transfer case if the one you have now is working fine? Even if you don't want open up the transfer case to do the SYE you can just do a hack n tap and be done with it. Well, I am an IT guy, not a mechanic, so here goes... A) My t-case is leaking. B) It has 210,000 miles on it. C) Local shops want between $1,300 and $1,450 to do the SYE conversion. I feel confident enough to swap a t-case. But I don't feel comfortable cracking open the t-case and working on that on my own. And after it is all said and done, I will have a SYE with a Tom Woods rear propeller shaft all for < $1,000. What exactly is the ausie locker? how does it actuate? what are the perks? I will say, Rusty's is not much more than RC but are much better quality. My Rusty's leaf springs are 8 years old and still arch like they should and ride great. Their coils are a nice spring rate that won't ride like a dumptruck and most white body shocks are all the same in the end. 4.5" lift on 33s is a very common and nice setup. So take a look at them over RC personally. On the topic of steering I have had the Cavfab steering for over 2 years now and it has never let me down, one thing to think about though is the difference between TRE and Heim steering. TREs from a good setup will typically run GM ends that can be sourced at any autozone/advance while Heims will need to be ordered, I don't DD mine but if you go with heim and your Jeep is your only vehicle you might want to consider having a spare heim or two just in case and no worries, but again mine are still original with no issues. If you like, 33x10.50r15 or metric equlivent will be much better on gas and not hurt your loss with stock gearing as much as 33x12.50s. Just some thoughts. I'm on 35s with 4"s of lift with a bunch of different parts and love it. 8 year old Rusty's 3" leafs with JKS shackles in this photo. did you keep a UTK track bar? Another one is by the Bleepin Jeep guys... Z7deg3E-h1s. IMO Both are worth the time. I'm not sure what setup to go with, . Wish I would have found this earlier in my effort. Wonder how accurate a chart like this is? No, I'm only on 4"s of lift and the tie rod is setup UTK so with all that my geometry is pretty spot on where it needs to be. I did have to put the drag link above the pitman arm though.